The term “Internet of Things” or IoT was apparently first coined by British entrepreneur Kevin Ashton in 1999 when he pioneered a new centre at MIT that established a global standard for radio-frequency identification (RFID) sensors. The IoT is the network of physical objects that are embedded within electronic and other devices, usually wirelessly, that enable these “things” to exchange data and share information. Each thing has a unique identification, its own Internet Protocol (IP) address that facilitates remote control and full integration within the network. In the mid-1990s there were about one billion devices (mostly personal computers) connected to the Internet. By the 2000s, when mobile Internet was in the ascendency, that figure had climbed to 6 billion. By the year 2020 – just five years from now – it is estimated there will be 28 billion things connected to the Internet. To accommodate this rapid growth, IP version 6 has recently been launched, and will provide 128-bit addresses that support an astonishing 3.4 x 10^38 unique devices – more than we will ever need. 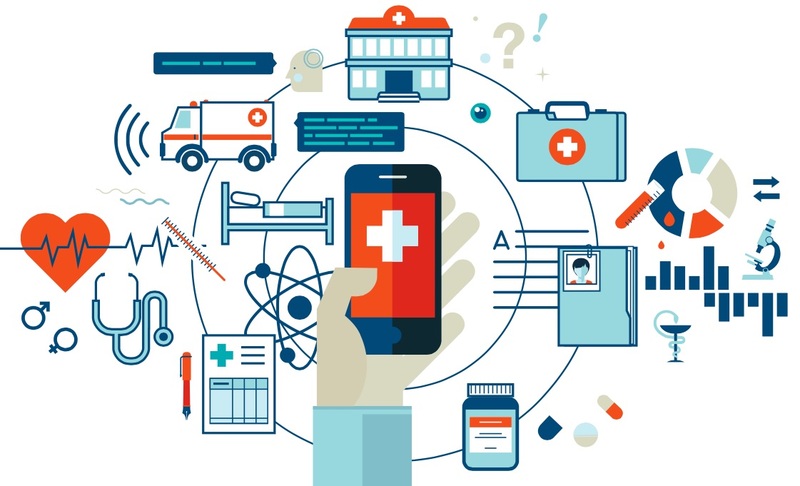 The IoT has already begun to transform our society and will probably have a profound impact on the practice of medicine even though healthcare tends to move at a slower pace than the consumer market. While diagnosis, treatment and procedures have traditionally been performed at the doctor’s office or in the hospital, that model is likely to change in the near future. This will be nowhere more evident than in the field of medical devices, where current examples include: continuous glucose monitors for diabetics; shoe sensors that detect falls and gait changes in an elderly person; pacemaker monitors; and dosage counters for pill bottles. Of course, with all new technologies there are the inevitable risks and this is certainly the case with medical devices. In the USA the FDA recently issued a statement warning about the Symbiq infusion pump (seen at left) that could be tampered with by hackers. 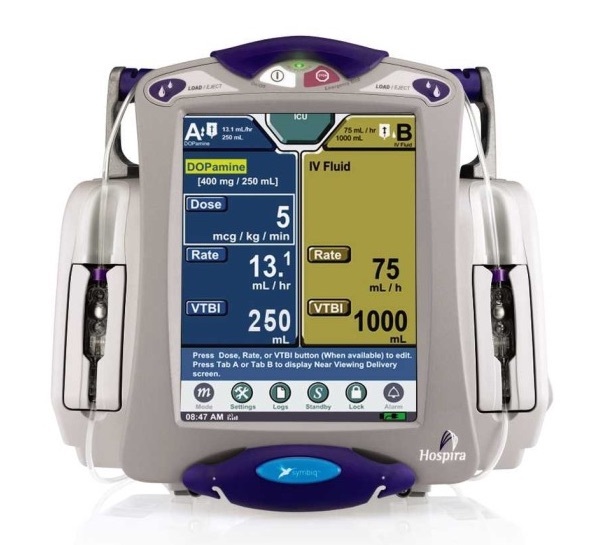 This device – which continuously delivers medication to a patient over an extended period – can be remotely accessed without a user name or password through a hospital’s network, enabling an unauthorized person to change the dosage received by the patient.